Jess Writes Here: My Baby is What Size?! We are half way there!! And while I relish in the everyday joys of being pregnant and anticipate the upcoming milestones, I have to be honest and say the reality of being a parent is beginning to sink in. Yes, I've wanted to be a mother all my life and yes, I definitely want to be a mother at this point in my life but so many new changes are to come in less than 5 months and I have to wonder to myself am I ready?! Am I ready to love all the time, discipline when needed, be ok with a messy house and spit up on my clothes, be ok not taking my Sunday naps, be able to really demonstrate Christ's love so our daughter will really know Him? Veteran parents out there, please reiterate what I've already heard you say a quadrillion times: "you're never really ready!" Ok, thank you, I feel much better now! How far along? 20 Weeks! Stretch marks? Nope but a few spots left over from poison ivy on my belly could pass as stretch marks :( hoping those go away soon! 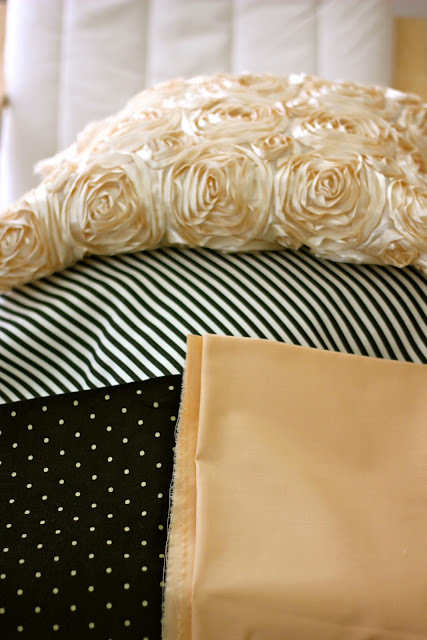 Best moment this week: We picked out fabrics to begin decorating Juice Drop's nursery! Miss Anything? Being able to walk fast especially when I have to pee! Belly Button in or out? I think I officially have an outie! Going into the fabric store we knew we wanted peach, black, off-white, and cream to be the colors. What we found exceeded our expectations! I love it all! The peach fabric is cotton. The black and cream polka-dot fabric is corduroy. The black and white striped is outdoor fabric. And the beautiful flower piece is satin. The clock from Ikea was our starting point. The picture below was our inspiration. We won't be able to get everything from our inspiration because it's so darn expensive but with enough creativity flowing through the both of us I think we can come up with something like the Neutral Niceties and maybe love it even more! Our inspiration was found here. 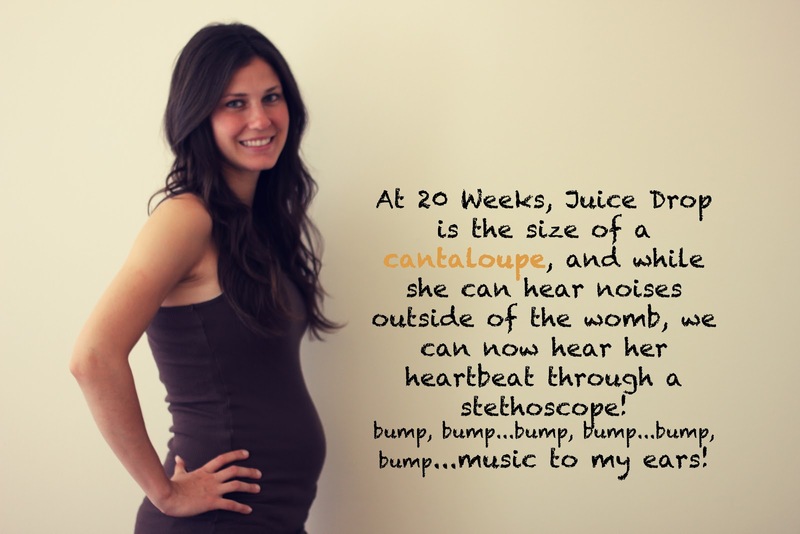 I can't wait to see Juice Drop in her own Nursery!